Read more. 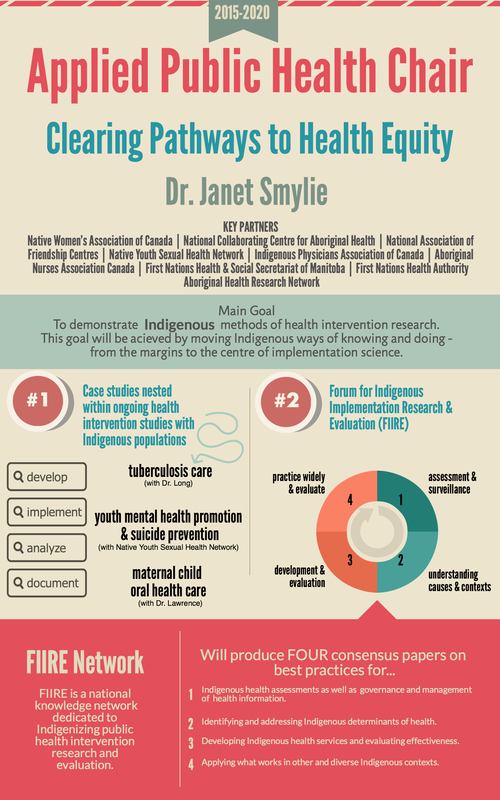 To download infographic below, click here. .
Indigenous health inequities exist across Canada. Evidence-informed health interventions for Indigenous populations require accurate and context-specific data on the Indigenous populations (much of which is has been non-existent). Indigenous health interventions are more effective when Indigenous people are involved in the planning, implementing, and evaluating of the interventions.